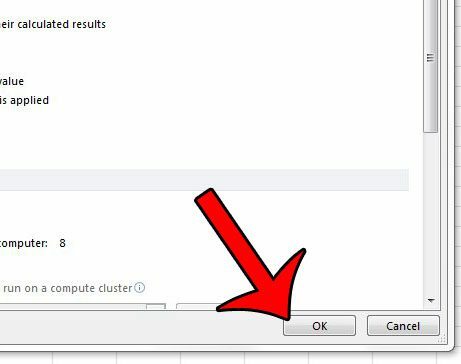 Worksheets are a great way to separate pieces of information in Excel 2010, but still keep the data somewhere close if you need to access it later. It also provides a convenient place to store data that you might need for a VLOOKUP formula. 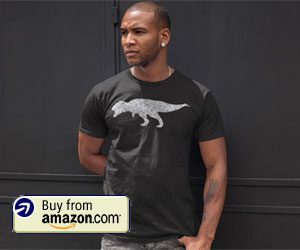 But not every situation calls for a multi-worksheet Excel file, and some Excel users might even prefer to avoid using worksheets at all. 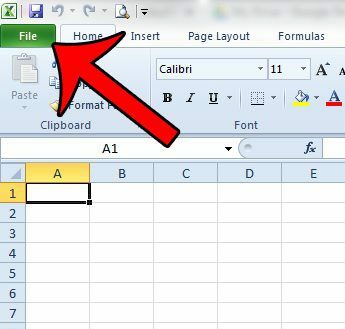 If you find that you have no use for the worksheet tabs at the bottom of the Excel window, then it may be more convenient to simply hide the tabs from view. 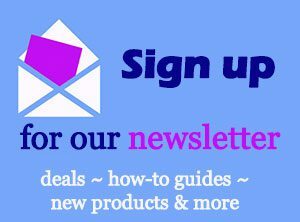 Our tutorial below will show you the steps to take in order to accomplish this. 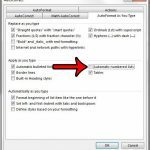 The steps in this article will modify the display of your Excel 2010 workbook so that your sheet tabs are no longer displayed. They will still be a part of the file, but the tabs will no longer be visible. When the sheet tabs are hidden, the scroll bar will extend to take up the entire bottom row of your worksheet. This article will show you how to hide the scroll bars as well. 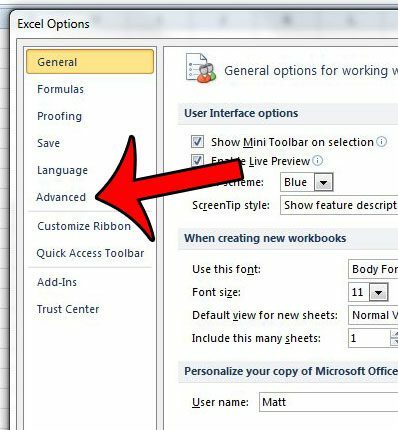 Step 1: Open your workbook in Excel 2010. Step 3: Click the Options button in the column at the left side of the window, which will open a new window called Excel Options. Step 4: Select the Advanced tab at the left side of the Excel Options window. Step 5: Scroll down to the Display options for this workbook section, then click the box to the left of Show sheet tabs to remove the check mark. Step 6: Click the OK button at the bottom of the window to apply your changes. Note that this setting will only apply to this workbook. 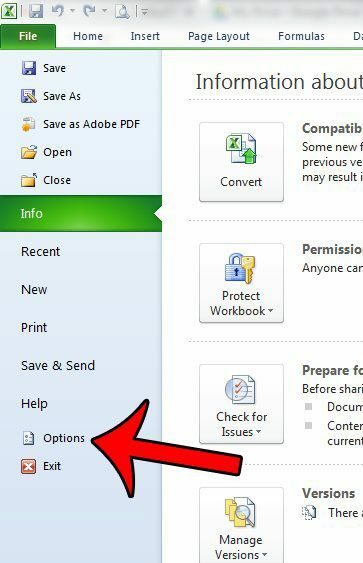 If you wish to hide the worksheet tabs in other workbooks, then you will need to repeat these steps in those workbooks as well. 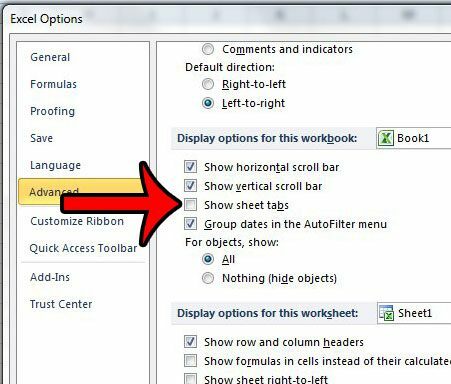 To unhide the sheet tabs you will need to follow the steps in this article, but check the box to the left of Show sheet tabs, then click OK.
Is there an individual worksheet that is hidden in your workbook? Click here and learn how to unhide worksheets in Excel 2010. 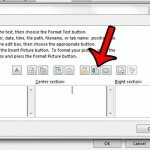 How Do You Eject a Flash Drive in Windows 7?